Travel accessories and gadgets are you addicted? How do you pack light and still take your favourite gadgets? New travel accessories and gadgets are coming on the market everyday. I love them and I have lots. I purchase them and I get them as gifts, but let’s face it with the new airport security regulations and weight restrictions we can only pack so much in our suitcase or carry on luggage. I might find that a particular item is very important to me and someone else could very well live without it. For instance a reading light is nice but if you travel alone or don't read in bed why take one. A box of hand wipes can take up a lot of space, so maybe one of the latest lights to kill bacteria would be better use of that precious space. One way to take more of your favourites, when travelling with a companion is to not duplicate when it is not necessary. I will go over lots of gadgets and travel gear, and you can choose what is important to you. If you find that the advantages are great you may wish to pack it in your suitcase. They help keep you in touch with your business colleagues, family and friends at home, communicate at your location, and give you and your hotel room security. Certain travel gadgets are essential. You cannot travel to foreign countries without adapter plugs for your electronics, surge protectors for your computers or voltage converters your small appliances. Shop the Summer Savings Event Now at TravelSmith! No Coupon Code Required - Shop Now While the Savings Last! A way to protect your cash and credit cards like a waist stash is a must. Other travel accessories like a mini travel iron, a blow dryer or luggage weigh scales are a matter of preference. A lot of these items are practical, and some are just fun to have and use. 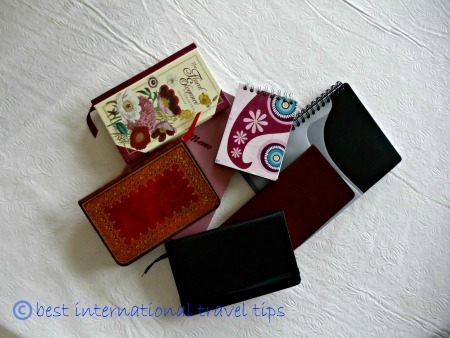 Don’t forget many of them like a travel makeup kit help make you more organized when packing a suitcase. If you find this information on my favorites and reviews helpful keep coming back, to check for new reviews or check whats new or add my RSS feed. Do you have a favorite gadget that you can't live without when you travel. Let us know in the comment box, it's always great to hear from you.